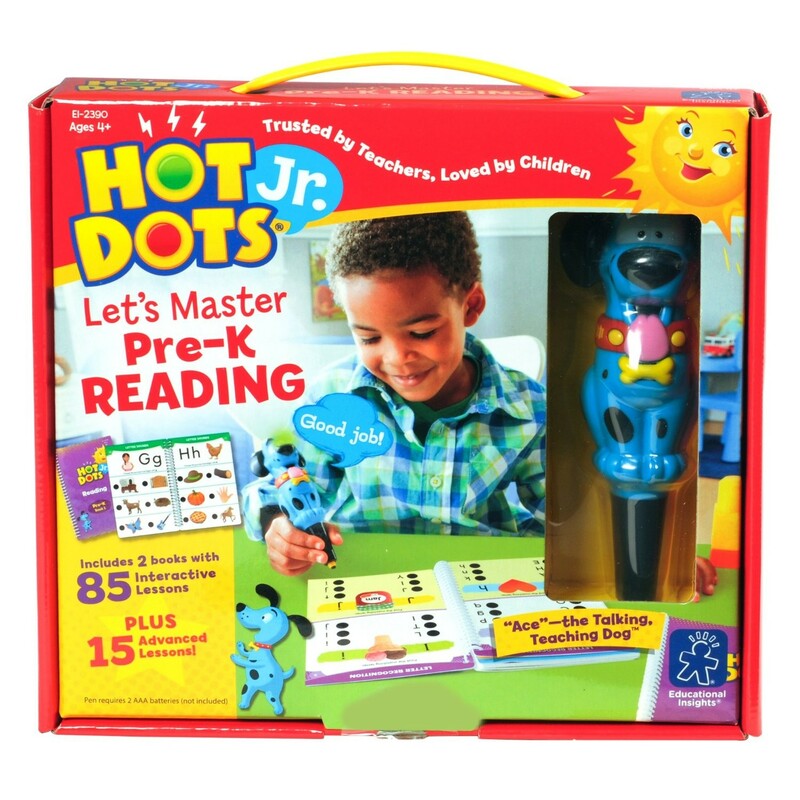 This Hot Dots Jr. two-book set with 100 interactive lessons on a variety of Pre-K reading, vocabulary and comprehension skills includes kids favorite teaching blue dog-shaped pen that encourages independent learning. 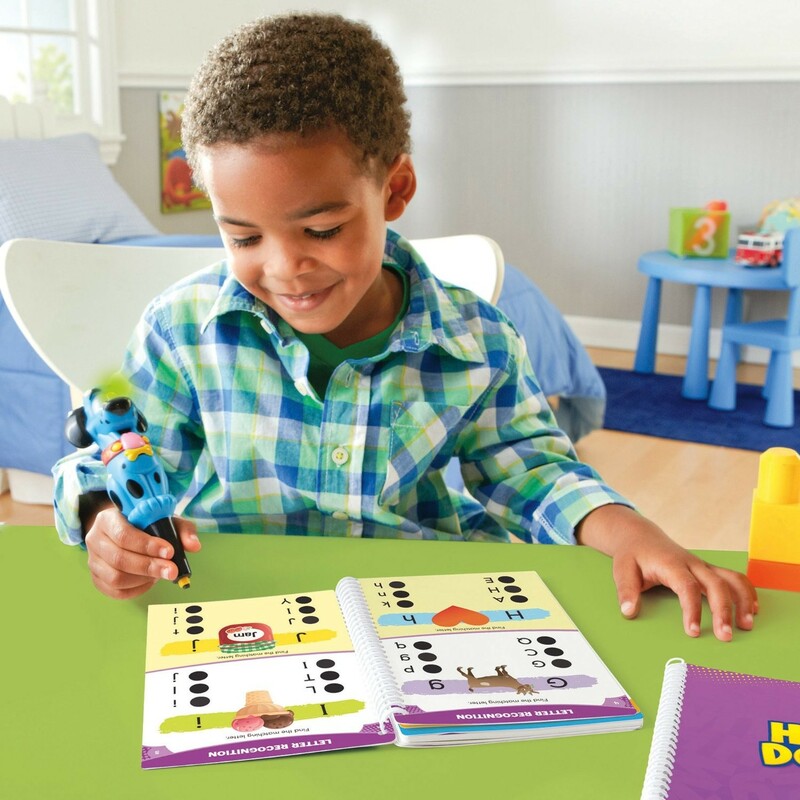 Let's master your preschooler's reading skills in the most fun way to learn: interactive play! 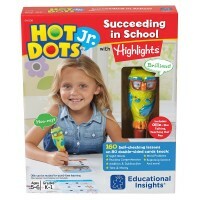 Educational Insights' Hot Dots Jr. toy series features interactive learning sets that help children enhance skills in different subjects. 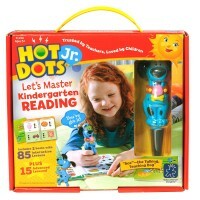 The Hot Dots Jr. Let's Master Pre-K Reading 2 Books & Dog Pen Interactive Set will help your preschool child practice the reading and comprehension skills necessary to succeed in kindergarten. 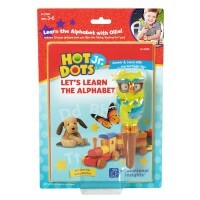 This beginner language arts set is perfect for self-paced preschool learners. 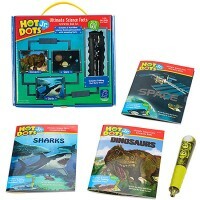 This kit features 2 Hot Dots activity books and kids favorite interactive learning tool - Hot Dots talking pen. 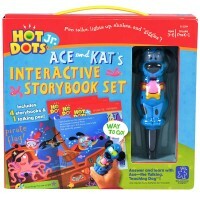 The electronic pen from this kit is shaped as a friendly blue dog Ace and offers 17 speech and sound effects. 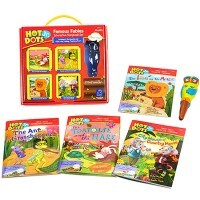 Your will find 100 Pre-K level reading lessons in the 2 enclosed books. The learning areas cover Letter Recognition, Reading Readiness, Phonics, Sight Words, Punctuation & Grammar. When your child masters 85 Pre-K lessons, he/she can try the additional 15 challenging activities that prepare children for skills at the 1st grade level. 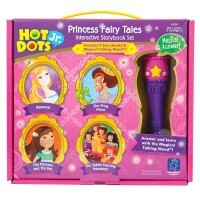 Each page of the books offers a task or problem to solve with the talking pen. 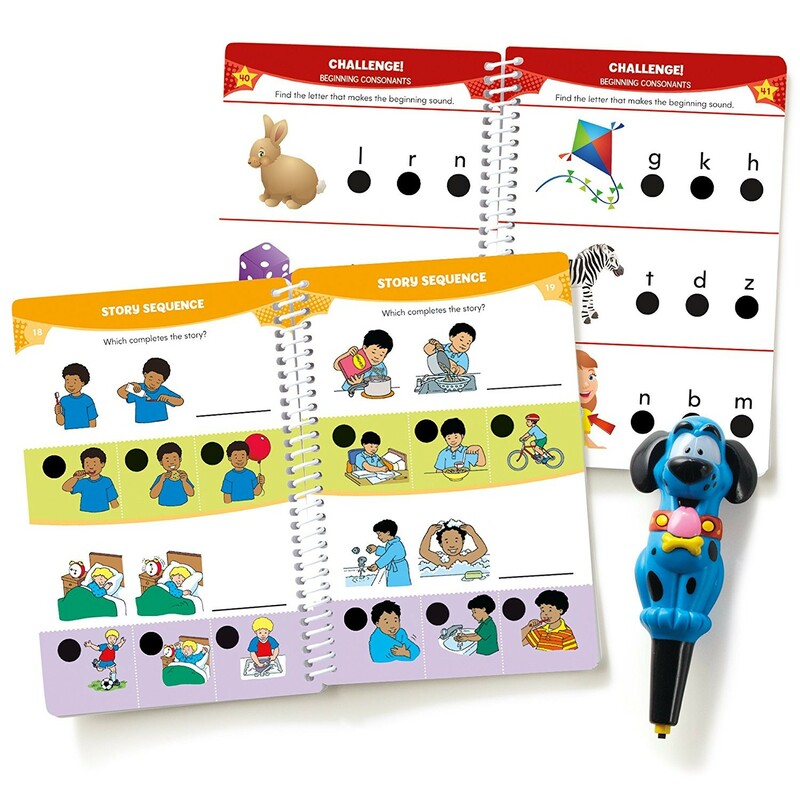 A child answers the activity questions by pressing the talking puppy pen to the answer dot and hear the playful audio response! 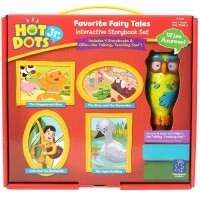 Your child's correct responses are rewarded with fun congratulatory phrases and sounds, and also a glowing green light. 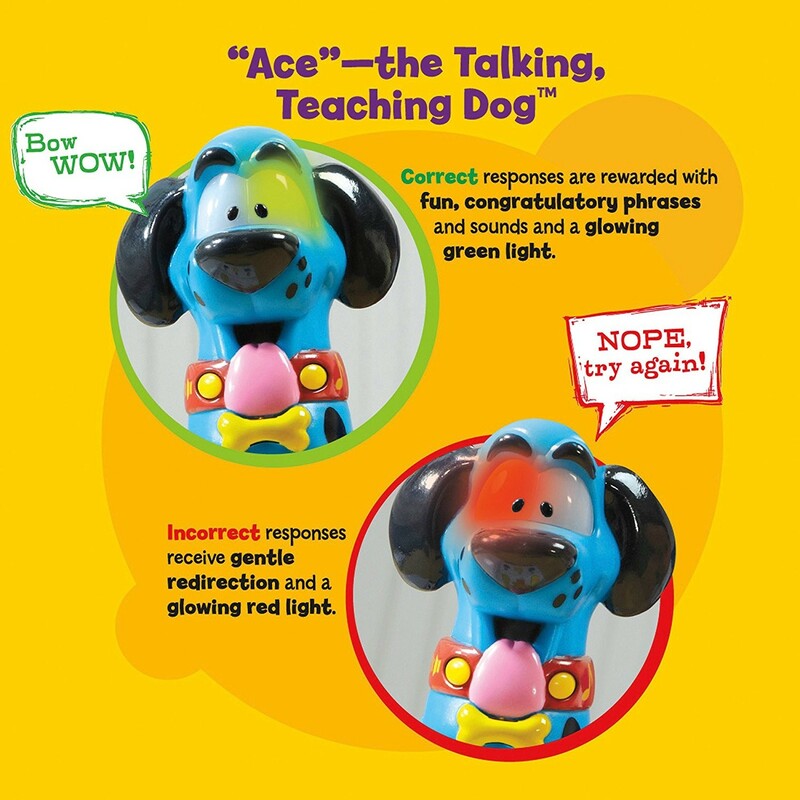 If a child answers incorrectly he/she receives gentle redirection and sees Ace's glowing red light. The teaching pen requires 2 AAA batteries (not included). 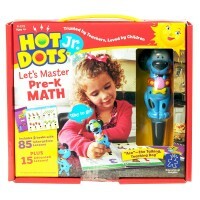 Dimensions of package 8.3" x 9.2" x 2"
Write your own review of Hot Dots Jr. Let's Master Pre-K Reading 2 Books & Dog Pen Interactive Set.